Fusion5®- GREAT VALUE, GREAT DESIGN . GREAT EXPERIENCE. Best Android Tablets. Fusion5 is a leading independent brand in the UK selling tablet PCs since 2010. 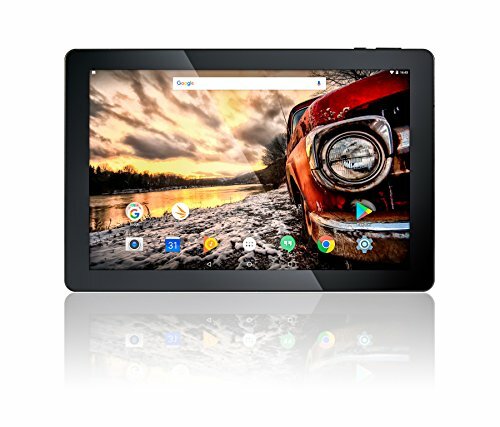 FANTASTIC VIEWING EXPERIENCE - Fusion5 104+ is our latest Google certified Android 7.0 Nougat Tablet PC with 10.1'' clear IPS screen display and a 64-bit Quadcore processor with 3D graphics (OpenGL|ES 3.1). Free Android apps for tablets + Free Android tablet games. ULTRA ENERGY-EFFICIENT - ARM Cortex-A53 64-bit quad-core processor, a powerful Graphics processor and an on-board GPS and FM. In addition to built-in 32gb Storage, 104+ also accepts a micro sd card (tf-card) of upto 128gb.